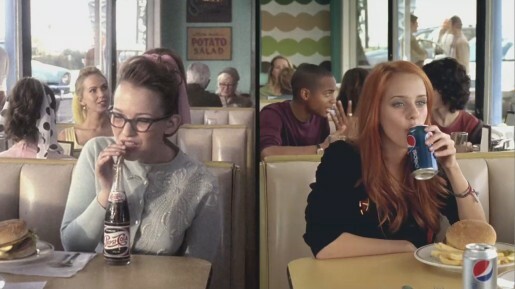 Pepsi has released “Pepsi Anthem”, a television commercial featuring a mash up of Bob Dylan’s 1974 song, “Forever Young”. The track, originally released on the the 1974 album Planet Waves, is presented with Bob Dylan singing the first verse and Will.i.am rapping the third verse. 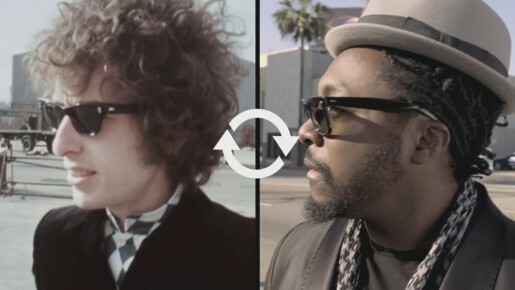 Black Eyed Peas frontman Will.i.am picks up the visual cues from the 1970s Bob Dylan, posing with sun glasses and singing in concert. Footage from the 1970s is compared with the 21st century… showing returning soldiers, skate boarders, martial arts movies, concerts (candles to cellphones), surfing, transit vans, graffiti, animation (Gumby to Shrek), music movies (Blues Brothers to School of Rock), dance and political rallies. Every generation refreshes the world. The Refresh Anthem was developed at MJZ, with director of photography Chris Soos, executive producer Jeff Scruton, and producer Natalie Hill. Editor was Kirk Baxter at Rock Paper Scissors with David Brodie, producer Mike Goble, assistant editor Ryan Seegers, executive producer Carol Lynn Weaver. Online/VFX work was done at Method Studios by executive producer Helen Hughes, producer Scott Boyajan, creative director Alex Frisch, VFX set supervisor Gil Baron, CG supervisor Andy Boyd, and lead compositor Jake Montgomery. Footage research was done by Susan Nickerson at Nickerson Research. Sound was mixed by John Bolen at Play Studios, Santa Monica, with executive producer Sara Hartman.